Davidoff Tortoise Sunglasses in excellent condition. Model SR6877A. Metallic white tone. 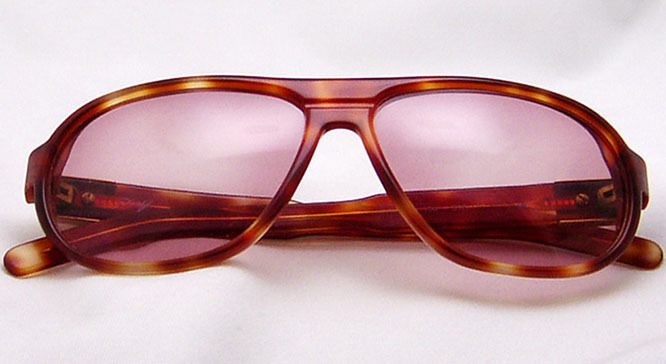 Acetate frame with pink-purple lenses. Small using and storage signs on all parts. Both ear pieces and all parts of the sunglasses are in excellent shape. Davidoff Logo on each side. Vertical height of the frame: 47 mm.